Welcome to our Holiday Wedding! 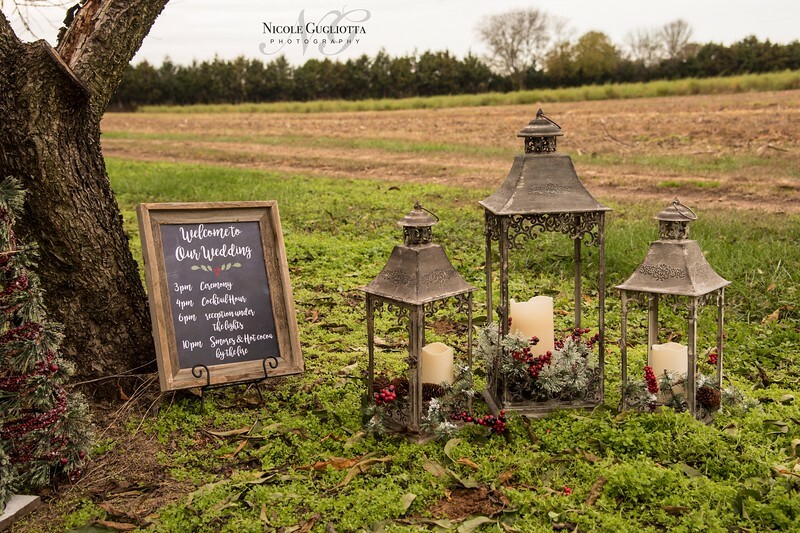 A chalkboard and holiday lanterns with holly welcome guests at an outdoor holiday-themed wedding in Fredericksburg, Virginia. The decor was provided by Nance's Rustic Rentals.